The problem that men and women have faced from the Fall has been that of sin. Sin came into the world through the action of the first humans and has not left. The consequence of sin, both that of Adam and Eve and that of each one of us, is that it separates us from God – as well as causing us to fall short of who we could be with Him! There is nothing that we can do to erase it or to bridge the divide that it causes. All sin is essentially sin against God and only He can do anything about it. When Jesus died upon the cross he took our sins, our guilt and our punishment upon Himself. He died in our place. However, He did not die only for the sins of the past, He died for the sins of the present and of the future – for everyone who had lived, was living and was still to be born. Without His death there would have been no forgiveness, no liberation, and we would all have nothing to look ahead to except the final judgement and eternal separation from God, whatever that might mean. When Jesus teaches us to pray for the forgiveness of our sins He is recognising that, no matter how committed to Him we might be, we will still sin today, tomorrow and the next day. In fact no day will go by in which we will not sin again and again. 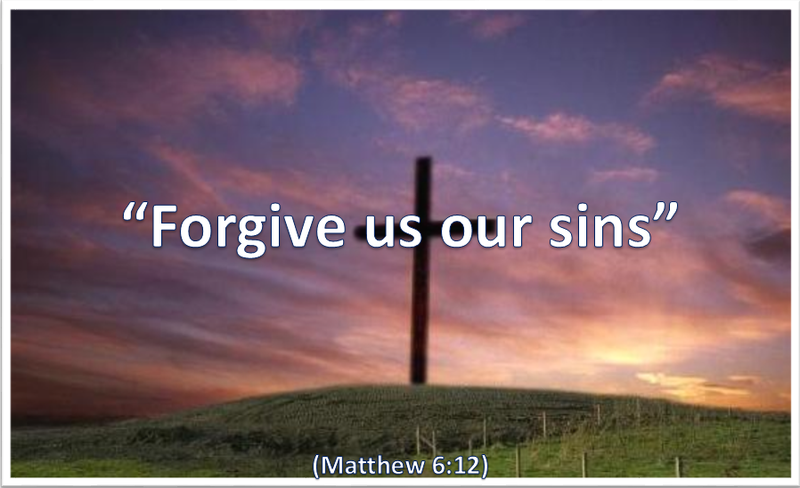 Having died for these sins He has opened the way for us to ask God for direct and immediate forgiveness and absolution. Every day should see us approach the Father Almighty in honest acknowledgement of our sin, known and unknown, and in humble appreciation of His great love and grace. Acknowledge sin as a reality – examine your life and conscience regularly. Father, thank You so much for Your great and wonderful love and salvation. Please forgive my sins, in Jesus name. Amen.